> Safety protection: over load, over voltage, short ciruict, open load protection. 24V, YYY=001-600, means the output current is 0.01A-6A) . 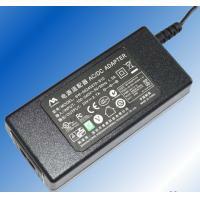 For laptop pc, computer, LCD Moniter power supply, CCTV power supply, electronic device power supply etc…. - The mains plug is used as the disconnect device, the disconnect device shall be readily operable. - The socket-outlet shall be installed near the equipment and shall be easily accessible. - No naked flame source, such as lighted candles, should be placed on the apparatus. - Maximum operating ambient for the equipment is 40℃. - The apparatus should not be used in a confined space such as a bookcase. - Children should be supervised to ensure that they do not play with the appliance.